The Camino de Santiago (The Way of St. James) is one of the most important and loved pilgrimages in the world. It has its flaws and critics though, and it’s important to plan well in advance if you’re not already an experienced hiker or walker, or if you’re out of shape. 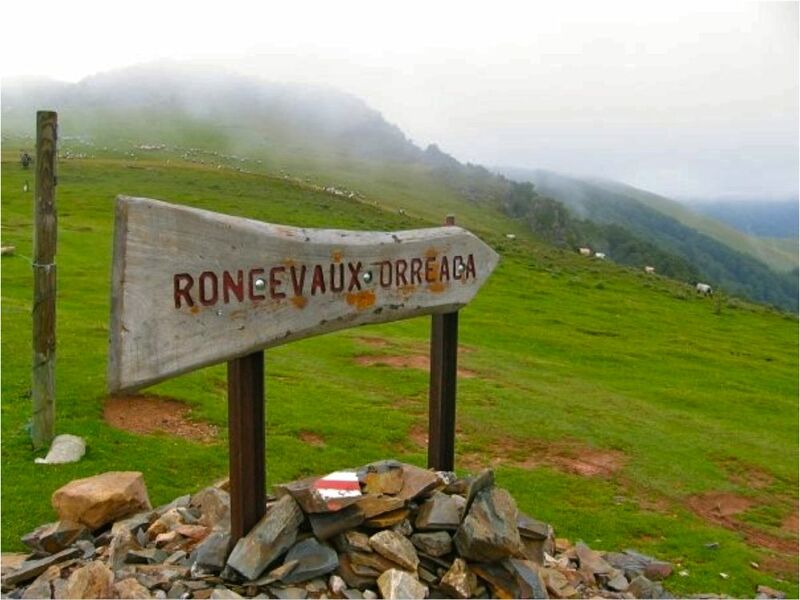 The Camino’s main route takes you 500 miles over the Pyrenees mountains from France and into Spain, via Roncesvalles. It continues due West for weeks, taking you through some of the most arid regions of Spain and beyond. Although much of it is flat, there are occasional steep sections, such as when entering into Galicia. The trail is often not sheltered from the sun, and will often follow roads with heavy traffic and many miles of concrete. In most ways, the Camino is much easier than a regular long distance hike: You sleep in “albergues” (pilgrim hostels), and you go through towns every day. There’s a water fountain at least every 10 miles, cafes, pubs, internet, and a lot of people to help if you need it, and friends to be made around every corner. The signs are usually easy to follow (unlike in France!). In a few ways, it’s significantly more difficult than a wilderness hike, sometimes for the same reasons as above: There are a lot of people in certain sections, especially towards the end. The cement is terrible on your feet and joints. The traffic is a nuisance. The albergues can be crowded, and people can be irritating and loud. Some of the trail is just plain ugly, like in some of the more industrial towns. Vegetarians will have a hard time finding a variety of food. This may seem like a lot of negatives, but in my opinion, the good outweigh the bad, and I LOVED walking the Camino. It’s just important to be prepared. If you’re out of shape or not used to long walks with weight, make sure to do some long dayhikes or walks before you go! If you’re fit and already a good hiker, you’ll have few problems (minus the concrete). Over two summers, I hiked both the Spanish and the French routes from Le Puy-en-Velay to Santiago de Compostela. This totaled 1,000 miles, and took 56 days. The routes are very different. The list below is targeted at the Camino Frances (the route which traverses Spain from France to Santiago). Good, lightweight, comfortable backpack with build in support and very good waist and chest straps. Get it professionally fitted if you have little experience doing this. I used an Osprey Aura 35 women’s daypack, as you shouldn’t carry more than 18lbs max anyway (and much less is definitely doable). Broken-in comfortable boots. I prefer lightweight hiking boots or trail running shoes. If you’re going during the hotter dryer months, waterproof shoes are not necessary. Comfortable, lightweight shorts. I always use running shorts, which have lasted over 1,000 miles of hiking and are still going strong. Make sure all clothing dries quickly. One pair of pants: I prefer yoga pants for comfort. Suitable for cold mornings, evenings or when washing shorts. You could probably pick up something from a local thrift store. Just remember, comfort first and fast drying. Two tank tops: one for day use, one for evening use. To cut down on weight, I slept in either the evening tanktop or the bralette if it was very hot (if you’re especially modest you’ll want an extra shirt or sleep in one of the other layers). One pair of very lightweight shorts to sleep in, or just sleep in your undies and change under your sleeping bag to save on weight if you aren’t too modest. If you are very modest, you’ll probably be forced to start getting over some of it like I did in the crowded albergues. Lightweight zip-up fleece (mine had a hood for extra warmth). One lightweight t-shirt and one long-sleeve shirt if you get cold easily (like me). SPF 1,000,000: the highest you can find if going in the summer. Sweat proof. Don’t skimp here, but if you run out, you can always buy more along the hike so don’t bring a huge bottle. 3 pairs sweat-wicking non-cotton socks. Depending on your feet, you might want a pair of liners. Enough feminine hygiene (tampons) for the month, especially if you’re picky about brands. Small containers with shampoo/conditioner for longer hair, another with Dr. Bronner’s soap (for body and clothes washing), and one for lotion. Small toothpaste and toothbrush. Tiniest hairbrush you can find if you need one. Two hairbands for long hair. Deodorant. Razor if you can’t live a month without one. A bit of toilet paper (not a whole roll- you can find some along the way to bring if you run out). Blister relief pads. You can buy them along the way as well. Experiment with brands, and put them on as soon as you feel a hot spot forming. Lightweight sleeping bag (or thicker depending on season). I’ve consistently used the lightest and cheapest REI had on offer. Two regular size or larger Nalgene water bottles or similar. Camera, charger, light pouch, memory card(s). Good quality large and small zip-lock bags for toiletries, toilet paper (and pack used paper OUT), money, passport, credit cards, books, journals, camera, etc. Thicker fleece if you easily get cold. Book or journal: I carried 3 books, and my pack was still only 16lbs without food/water, 18lbs with. Bug repellant: I don’t remember it being too bad in most areas. Small notepad and pen: I was very happy for these items. Clothespins: People find these handy, although I’ve never needed them. SmartPhone if you absolutely have to. You’ll find wifi along the way in some places. iPod and headphones if you absolutely have to. Scallop shell: The sign of The Way! Earplugs: Very important if you’re a light sleeper or hate the sound of other people’s snores. Camino Guidebook: I didn’t have one for the Camino through France since everyone else had one, but still very handy. Lightweight headlamp for use in the albergues at night or early morning (just please don’t be one of those people who flash ’em all over everyone who’s asleep!). Extra batteries can be purchased along the way if necessary. I always bring one, especially as I sometimes hike in the evenings. Bed Bug Spray: An unfortunate reality in some places. Sleeping bag liner (with or without bed bug treatment): Might be necessary if you get cold easily. I wear my fleece on colder nights. Poncho that will cover backpack or better quality rain jacket depending on time of year. Hiking poles- May sound geeky, but they make a serious difference and these days I don’t hike without them. One pair of lightweight flip flops for evenings and showering in. I found my feet just needed a break from my boots after a long day. If you have dietary restrictions such as vegetarian, vegan, gluten free, etc: Spork and small knife. Small tupperware with good lid. This will help when buying things at grocery stores and making sandwiches. Sunglasses: Especially handy if you’re hiking later in the day like I did, when the sun is in your eyes. I do not leave home without them, or I suffer raging headaches. Iodine, needle and thread to sew through your blisters and let them dry out (gross, but useful). Very lightweight and flowy scarf: I’ve never used one, but they look convenient when in a t-shirt or tank top in the hot sun. I’ve seen people drape them over their head or shoulders for extra sun protection. A couple cheap carabiners to attach water bottles or other random items. When something wasn’t dry in the morning, I’d loop it through the carabiner, while hiking. First aid kit (I just had a few bandaids and tiny tube of Neosporin). Swimsuit: Use your shorts and sports bra if you’re lucky enough to find a swimming hole. Big towel: waste of space and when wet, is very heavy. Too much clothes: Be a minimalist! You’ll wash your trekking clothes every evening, and they’ll be either dry or dry-enough by morning. If you really don’t have enough of something, buy it along the way instead of hauling extra around with you. Too many snacks: Buy things along the way to keep the weight down. Vegetarians: Snacks are more important for you to get along the way. I bought a box of the healthiest cereal bars I could find along the way, or straight cereal and nuts. I ordered large glasses of milk at bars and would fill ‘er up with my cereal! Spain is full of meat. Vegans: I wish you well. Just kidding- plenty of fruit, veggies, bread for sandwich making, and nuts and cereals to purchase. Large camera, unless you’re a photographer. Computer: You’ll find internet and computers at least every few days. Cellphone: Everyone else will have one, so if you need to make a call to the next albergue to book a bed, just ask someone to do this for you when they call for themselves. I did this for 1,000 miles through two countries and it worked just fine. Camping mat, unless you’re planning on sleeping outside. You’ll have a bunk-bed ever night. Even in an emergency, you’ll either find a hotel or just sleep on the ground without one (not worth the extra weight). Clothesline: I didn’t find this to be necessary, as most places had somewhere to hang your clothing. Pillow: Just jam clothing into your stuff sack. Fancy clothing: Everyone knows you’re a pilgrim. You’re not expected to dress nicely ever. Once I reached Santiago, I went out and bought an inexpensive skirt, top and bra and used those for days in a row while playing tourist. Feel free to leave a comment or ask questions. Do let me know if I left something important off the list! Nice way of traveling/hiking even judging by the list and tips. The trail itself..crowded i would like to avoid. Most importantly, able to live and travel on little as possible. This is the greatest idea at the moment i try to follow in my life. I can only congratulate. Actually, i always lived on 10k or less, but i still need to travel more and to reach light traveling condition.